Patricia Vice is such a likeable person. From the moment you meet her and experience her radiant smile, you can’t help but feel her warmth, sincerity, and caring nature. In addition, Patricia is passionate not only about her business, Texas Security Shredding, but about life and helping others. As an entrepreneur, she is appreciative of the community that has supported her and believes in the importance of small businesses creating programs benefiting the people with whom their companies serve. 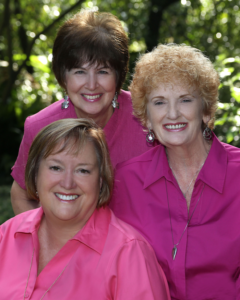 To this end, Pat hasdeveloped a business-related program that provides funding for mammograms and cancer treatments. “Many people in our community do not have financial resources or health insurance,” explains Pat. 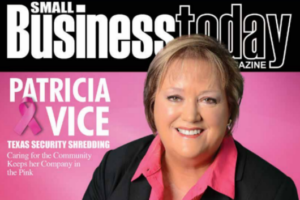 “Our goal is to save lives, one shred at a time.” As a result of the caring business relationship that Patricia has developed with the community, her company stays in the pink. Growing up in Boise, Idaho, Patricia was the second oldest of the four children in her family.Patricia’s father was a supervisor for a power company and her mother was a stay-at-home- mom. After graduating high school, Pat attended Boise State University where she first majored in music. Soon realizing that she couldn’t make a living in that field, Patricia changed her major to business which also allowed her to utilize her exceptional detail-oriented skills. After Patricia graduated with a Bachelor’s Degree in Business and a secondary degree in Teaching, she married Roger and began working at the Boise Cascade Corporation. While working at Boise Cascade, Patricia took the ICRM exam to become a professional Certified Records Manager. In 1990, Patricia and Roger moved to Houston where Pat opened her own consulting business that helped many large and small organizations establish strong Records Management programs. Since records destruction is an important part of the comprehensive records program, Patricia then went on to establish Texas Security Shredding in 2009. Pat discovered that secure onsite shredding is a very competitive business but customers often prefer locally owned and operated companies that provide quick shredding services in 24 to 48 hours when needed. 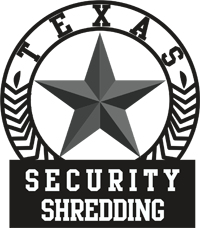 In addition, Texas Security Shredding provides both commercial and residential shredding services. Texas Security Shredding is a certified WBEA (Women Business Enterprise Alliance) and HUB (Historically Underutilized Businesses) company, which gives Patricia the opportunity to network and build business relationships with other women owners. She conducts training sessions on a variety of subjects including: Mitigating Risk through Effective Records Management Programs, Identity Theft, Using the Right Technology to Manage Information and Data, and Developing Effective Vital Records Program. Pat also strengthens the role of women business owners within the community by focusing on building business relationships with other women owned companies through social media and networking groups in Texas. Furthermore, as a Board member for the Professional Group of Houston, a diverse professional women’s organization, Patricia builds meaningful relationships by providing learning opportunities for women from many different industries. Few people understand that secure shredding and document management go hand in hand. Patricia is also the owner of Patricia Vice, CRM & Associates, Inc., a firm that provides consulting services to both government, public, and privately held organizations internationally. An extremely challenging profession, Ms. Vice states, “Having the opportunity to develop many different corporate and government programs and managing various types of records repositories, both electronic and paper, taught me that every organization has unique compliance requirements. 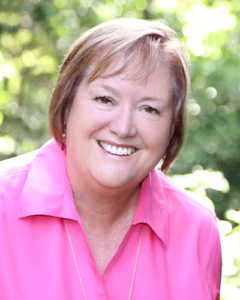 There is never only one way to manage information.” Currently, Patricia Vice, CRM & Associates, Inc is comprised of a network of Certified Records Managers with offices across the United States. Since beginning Texas Security Shredding, Patricia’s business success has a lot to do with her natural talent in building strong business relationships. As a result, some of her best shredding Pat Vice and breast cancer survivors celebrate a local “Shred Day” event. Another reason Texas Security Shredding is so successful is that it sets itself apart from other shredding companies by also being a records management consulting company. They have developed very long term contracts including one with the largest legal services companies in the Houston market. They’ve been managing file rooms for that company for about 16 years. While participating in the HCC Goldman Sachs program, Patricia met Janice Jucker, co-owner of Three Brothers Bakery who is a breast cancer survivor. Together they developed the “Shred for Komen” program. After it was designed, they signed an exclusive contract with the Susan G. Komen Houston Affiliate. This program consists of placing pink shred bins at customer sites in recognition of the fight to detect and cure cancer. As part of the program, each client agrees to donate $5 per bin each time it is processed and Texas Securing Shredding matches their donation of $5. This relationship has led to a sustainable program of giving to the Susan G. Komen Foundation. Ms. Vice is often invited to participate in entrepreneur panels for the HCC Goldman Sachs 10,000 Small Businesses scholars where she shares her experiences as a successful entrepreneur providing advice and words of wisdom to other business owners. In 2013, Pat was invited to be a guest panelist on the Women Who Lead Show on HCCTV hosted by Dr. Ruth Allen Ollison, a well-known television program growing the awareness of women business owners. Pat highlighted the Goldman Sachs 10,000 Small Businesses program. Always caring for the community and wanting to show her appreciation, Pat regularly gives back. Texas Security Shredding schedules 20 plus Saturday Shred Days for non-profit and charity organizations in the Houston area to help them raise monies to support their organizations. Some of these organizations include: the Salvation Army, Impact a Hero, ABWA, Local Ministries, Mission of Yahweh, AARP, and ECHOS. Another way that Patricia gives back is by working with two educational foundations that provide scholarships to Records and Information Management upper level degree students aspiring to complete their Bachelor’s, Master’s, or Doctorate’s programs in universities and colleges. She has also served on DeVry University’s Curriculum Development Advisory Board for Technology. Patricia also has donated suits and shredding services for “Dress for Success”, a program that provides suits for ladies preparing for job interviews. Elmer Guittierez/Operations Manager leads a team of drivers like Raymond Patterson and Sean McBride. A well-known speaker and lecturer in the records and information management industry, Pat has been conducting seminars for numerous professional associations, university programs, and various industry-specific associations. In addition, as Chairman of the ARMA International Technical Research Committee, she has authored and edited numerous technical research publications that are currently available through ARMA (Association of Records Managers and Administrators). Ms. Vice is one of only 51 Professional Records Managers internationally inducted into the prestigious Company of Fellows of ARMA International in 2002, which is the highest award bestowed upon professionals in her records and information management industry. Her selection was based on contributions she has made to this discipline in the last 37 years. Patricia holds her employees in the highest regard and has had many women work for her over the last 25 years. She related, “I realize they are still having the struggles that we had 35 years ago, dealing with our families, our children, working, and making all that work together. It takes two incomes to support a family today and that is very challenging and stressful.” Depending on the projects her company is working on, Patricia oversees 35 to 70 employees. Although Patricia works hard and has put in some long hours, she says she’s enjoyed herself every step of the way. The love of Patricia’s life is her husband Roger. They’ve been married since 1972. He does the administrative controls for the company, systems administration, accounting, and the financial investments. In their spare time, Patricia and Roger love doing things together including fishing, traveling, camping, and anything involving the great outdoors. Their two children, son Ryan and daughter Jennifer were brought up to not necessarily follow Patricia into her business but to find a career where they could do what they love to do. Pat has the best office administrative staff. They are Rhonda Kiedro and Linda Sinclair! Pat feels extremely blessed to have team members like Sean McBride and Elmer Guitierrez. Through Patricia’s gifted abilities in staying attuned with current business trends, developing good business relationships, and caring for the community, Texas Security Shredding will continue its consistent growth, all the while staying in the pink. 1. If you’re going into business for yourself, make sure you understand the economics and the markets. Understand the company, the type of business you want to own, what your market share should be; and know everything you can about your competitors. 2. Joan Rivers, featured speaker for the Susan G. Komen Houston Affiliate in June of 2014, said, “We need to keep our blinders on and move forward with persistence to achieve our business goals.” She explained that there are many people along the road to business success who will try to distract you and derail your goals. She referenced her own challenges in becoming a great comedian. To all small business owners, keep your blinders on and move forward with steadfastness and tenacity. 3. The quickest way to become an industry expert is to disregard industry leaders. It is all about thinking differently about the business and understanding what drives your customers and what is important to them. Being on the cutting edge and supporting customers in meeting their goals will accelerate your business success and make you a leader in the industry. 4. Join round tables and mastermind groups and share your expertise. Being the smartest person in the room does not necessarily mean that you will be wise or thrive in business. Your business will flourish from the exchange of ideas and coaching from other business owners who often face similar issues in business. 5. Be diligent in seeking out and understanding compliance and regulatory issues. Legal requirements are constantly changing and evolving and small business owners must stay vigilant and connected. Seemingly small regulatory issues grow exponentially if not handled in a timely manner. 6. Show gratitude in all aspects of your business. Appreciate the contributions of your employees, customers, colleagues, and mentors. Acknowledge and express your gratitude to a minimum of at least three people daily. This has a compounding effect on all of the people who surround you.